TY to the guy who finished up the entity options for me. was about 4AM in the morning so i figured i needed to go to sleep. 3 HDR cubemaps created even though map doesn't use HDR? says 0 - default what is the default value? It almost follows the "double the size, quadruple the weight" rule. The 1024x1024 is really beautiful, but multiplying the weight by 23 is a bit exaggerated for good reflections. 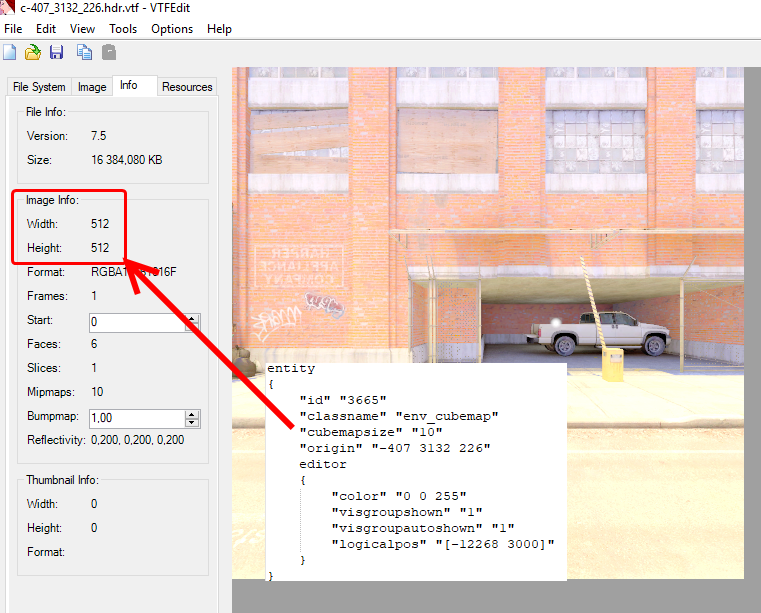 Thanks for that test mate, saved me a hell of alot of time :D.
HDR cubemaps created even though map doesn't use HDR? To the guy editing the page saying value 10 = 2048, you're wrong. To build cubemaps your game resolution needs to be 4x bigger than cubemap size. This page was last modified on 26 January 2019, at 01:41.